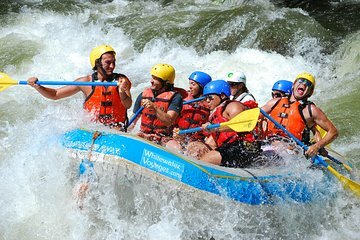 Get wet and wild in Antalya, whitewater rafting and swimming on the Alanya River. With professional guides to help safely navigate a 9 mile (14km) course, take on the entry-level rapids of Koprulu canyon before taking a relaxing dip and enjoying a bite of lunch at a riverside restaurant. After a full day out, enjoy easy transfers directly back to your hotel.